The Starting Off Project – Skincare – The Beauty Spot. Following my posts on lips and makeup tools, here is my Skincare offering. This is going to be a long one, grab a cuppa and make yourselves comfy! Looking after your skin should be part of your routine to maintain a healthy lifestyle. As we hit puberty we all know that our body goes through huge changes and this is often the time that most people start using either skincare or makeup or, often, both. In order to achieve the makeup result you want, your skincare routine is actually the most important. It’s like wallpapering over a crack, it won’t go away and can get worse! So save yourself a lot of money and hassle and start a good routine from a young age and you’ll be halfway there. I must stress that your skin and it’s needs will change from time to time, but as long as you can notice when some elements of your routine need to change, then you will be prepared enough to deal with it without any major problems cropping up. This all comes from someone who has suffered from acne since the age of about 14, however, training as a beauty therapist made me so much more aware of things you can do to look after your skin. Equally, reading blogs and working in the industry has also helped me broaden my knowledge and feel confident in helping people choose the right skincare for them. Firstly, find out your skin type. There are 4 skin types: normal, dry, combination and oily. These are the ONLY skin types. Each type will have characteristics that you can compare to your skin to find out which category you fit into. Normal perfectly balanced in all areas, small pores, no tacky/oiliness, smooth texture. Dry a lack of oil in the skin. It may feel tight, sometimes look flaky and dull. Combination does what it says, oily in some areas (not just T zone, although this is the most common), dry or normal patches elsewhere. Oily Shiny, tacky skin, enlarged pores, ‘greasy’ feel, makeup often ‘slides’. When you have identified your skin type, it is useful to see if you have any conditions that also need treating. Skin conditions can be a huge list, but I’ll just give an overview of some of the most common. Sensitivity often characterised by redness in areas, sometimes will feel sore to touch, may be the result of a reaction to product or food. Dehydration lack of water in the skin. Different to dryness, often skin can be oily but dehydrated too. Skin looks dull, small lines appear when skin is lifted in the cheek area and sometimes feels tight. Ageing this may not apply to many of you, but it will inevitably come to all of us. There are many different signs of ageing, and treating them is knowing which one you are most concerned about (lines, wrinkles, lack of firmness, dark spots, lack of luminosity). To discover your skin type, spend a few minutes in the bathroom studying your skin. Make sure you have good lighting and your skin is clean. Spend a few minutes examining it and seeing which of those characteristics match with you. Once you have decided what skin type you are and what skin conditions you may have, you can then start to find the best skincare for you. If the skincare aisles in drugstores are a place of despair and confusion to you (they are to me, even now!) you may be happier speaking to a consultant. Obviously bare in mind, most consultants will only want to flog you their brand, but if you research a brand first you may find one that seems more suited to your skincare needs. For example, in my opinion, if you have fairly troublesome skin (acne, eczema, rosacea) a brand like Dermalogica may be good option for you. Their products are used in a number of beauty salons, and they also offer facials in department stores for you to try products on your skin before purchasing. They are also a really great brand for giving samples, but don’t just ask for any old samples, an in depth consultation means you will be given the right samples to try. Alternatively, you may have pretty good skin and just need a little help from a good basic routine to start you off. In that respect I would recommend a brand such as Clarins which has a great range specifically aimed at young skin (linked). If you are wading into the world of drugstore beauty, it is worth knowing the basics of the products that will be on offer. Please note that I have tried to include as much info as possible here without boring you all too much! Cleansers a very important step. Removes all make up, dirt, grime and pollution from your skin at night, or prepares the skin for products in the morning. They come in many different textures: face wash, cream, milk, balm, water based. Most of these textures will say on the packaging which skin type they a suitable for, however in general, a balm or cream texture would not suit an oily skin, so a purifying face wash may be better to look out for; and a dry skin should be looking for something that is rich an comforting. At night I would recommend a double cleanse: first to remove make up (I use a foaming face wash or micellar water at the moment) and second to actively cleanse the skin deeper (possibly a balm or cream depending on skin type). If you are using a micellar water, do make sure you use another form of cleanser afterwards as it is very effective at removing make up, but probably doesn’t cleanse effectively enough to remove all nasties from the skin after a full day in various environments. 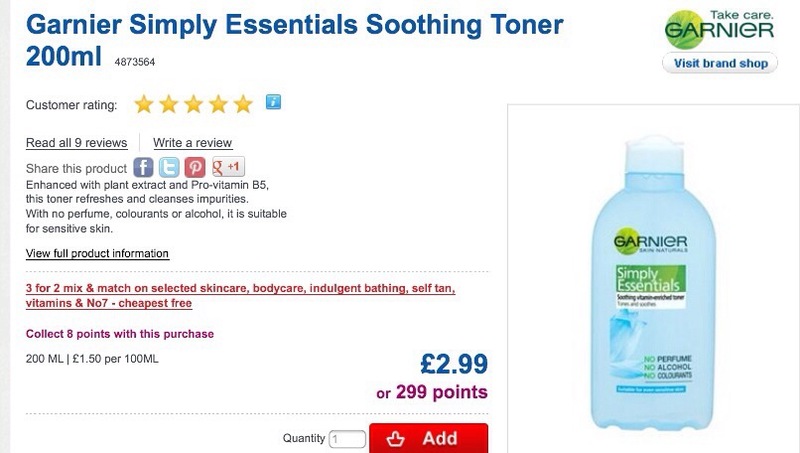 Toner very often ‘The Missed Step’ because people think it’s a waste of time. 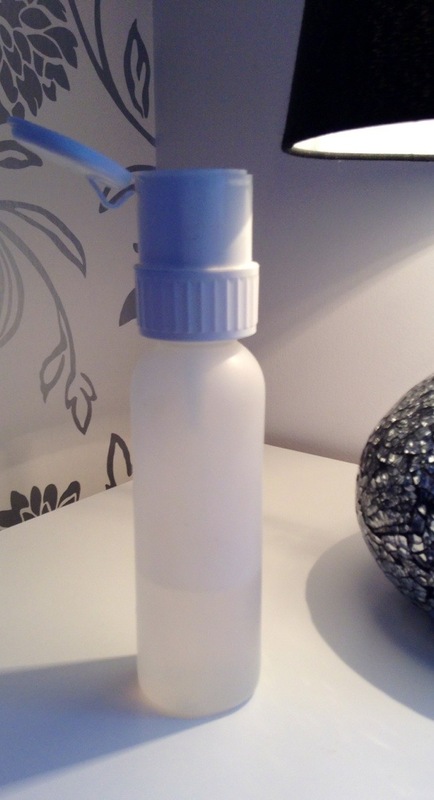 QUICK TIP: keep toner in a pump action or spray bottle! Having either to hand will save time, but also jog your memory to use it every day! 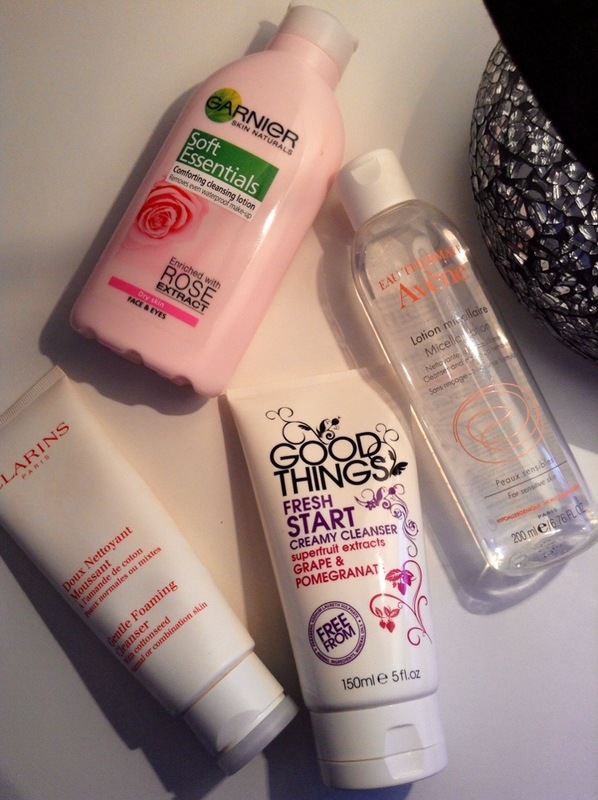 Moisturiser imperative for good skin! Moisturiser is what creates a barrier between your skin and the external aggressions which speed up the ageing process and what will give you a good starting base for your makeup. Like cleansers, they come in many formulas: lotion, gel, cream-gel, cream, rich cream. The drier your skin is, the more rich in texture you would want to go. I’m in two minds about whether you need to spend a lot of money on moisturiser. I used to think that you did and maybe as you get older and your needs change, then it is probably worth it (especially with the kind of advanced technology in high end skincare). Similarly if you have troublesome skin you may want to use higher quality ingredients. But for a normal young skin then unless you want to spend money on it, then a good decent quality hydrating moisturiser will not do any harm. It is worth also remembering that day and nigh creams have different properties. In general, day creams will protect your skin, night creams will aid repair in the skin. Eye Cream as a teen this would probably be an unnecessary step, but in your early 20’s it’s a good idea to start using something around the eyes. Especially if you are using concealer and dragging brushes around the area on a daily basis. This is mainly because it takes 10 years for a winkle to surface (hence why we only get them as we get older), so the earliest you can start to use an eye product, the more likely it is that you are slowing down that age process. It’s the eyes, hands and neck that show ageing first so look after these areas! Prevention is better than cure! QUICK TIP: only ever use your ring finger to apply product in the eye area. It’s very delicate and that finger has the lightest touch. Weekly treats: exfoliator ok so you may end up doing this more than once per week, but what I mean by this is that it is done as part of your twice daily routine. Depending on what you like to feel on your skin you exfoliate either manually (beads, or ‘gritty’ texture) or chemically (AHA/BHA). Chemical exfoliants dissolve the old and dead skin, whereas manual ones literally pick up the old skin and remove it in the motion of the scrub. A dry skin can exfoliate up to 3 times per week, an oily skin approximately once. Too much intensive exfoliation can make skin too sensitive so again just be aware of what strength of chemical you are using, and don’t use a lot of pressure when using a manual scrub. Weekly treats: mask you can have a number of face masks for all the different conditions your skin has. For example I have a mask for intense hydration, radiance and also to calm redness. I use them on different occasions during the week, but masks are always most effective when used after an exfoliant. This is because it doesn’t have to battle through the old skin to get to and treat new skin. Serum/Treatment Oil Serum and oil particles are much smaller than moisturisers so they can penetrate much deeper into the skin and treat it more intensively. So if you do decide a serum is for you, always use it underneath your moisturiser. Your moisturiser will then lock in all the goodness your serum is doing and make it more effective. Using a serum can also boost the effects of your day cream/moisturiser too. I really hope is has give you a bit of an idea on where to begin with skincare, I don’t think finding the right skincare routine and products ever really stops. It’s fun trying out lots of products along the way though! Please comment and let me know if this has been helpful to you and leave me any questions and I will do my best to answer them!